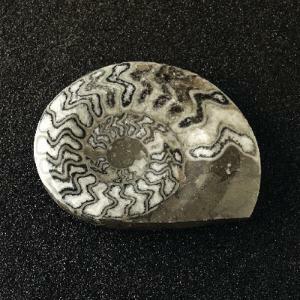 Highly polished ammonites showing fine sutures. Average size: 3 1/2 to 4" diameter. Morocco.